Three football academies, Gilkock of Brufut, Neighbourhood of Tallinding and Dorleh Football Academy of Jarra Soma recently received a consortium of football materials from Allan Nevado a Danish national. The donated materials include jerseys, footballs and cones among other things. At the official handing over ceremony held in Jarra Soma on Saturday June 28 2008 Allan Nevado explained why he singled out these three academies. Allan revealed that the materials were donated by Vallo BK football club in Denmark and Select Sports Company, a Danish Company specialising in the production and distribution of football equipment. Receiving the materials on behalf of Dorleh Football Academy in Soma, Coach Ensa Darboe known as ‘Sign’ thanked Allan for the kind gesture and promised that the materials will go a long way in developing football in Soma especially at the grassroots level. Other speakers at the ceremony included Madiba Saidyley, Mr. Demba Ceesay, the manager of former Sitaba FC and Momodou Lamin Camara. Both Gilkock and neighbourhood football academy were also represented at the ceremony. 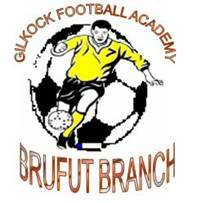 A triangular football tournament will be hosted by Brufut based Gilkock Football Academy featuring Neighbourhood Football Academy of Tallinding and Dorleh Football Academy of Jarra Soma on the 12thJuly 2008. The tournament was made possible tournament courtesy of Allan Nevado a Danish national, who assisting these three academies with football materials . As host, Buba K Jallow the Technical Director of Gilcock, said “we are working tirelessly to acquire funds to successfully host our guests during the event. This is not the first time we’re hosting such an event. From experience the major problem in organising such an event is the money to provide food and refreshments for the participants. Therefore I appeal to companies, institutions and individuals to come to our immediate aid regarding financial assistant,” Buba said. Buba therefore called on individuals, companies and institutions to contact Sang Mendy the public relations officer of Gilkock on 9830861-7893861or 6430633 for any assistance. Two Gilkock players Kissima Bojang and Ebrima Bojang went head to head on Monday at the Independence Stadium in the ongoing national league. The game saw Kissima´s team Samger FC beat Ebrima´s team by 2-1 to climb second place with a better goal difference than Hawks FC. Samgers goals all came in the first half of the game, which saw kissima sitting on the bench. Kissima came off the bench to contribute to the victory over the defending champions Real De Banjul who are currently experiencing a shortage of goals in their course to defending the title. Coach Boris Demba of Gilkock and Ebrima Salasi Bojang hailed both Ebrima and Kissy for a brilliant performance. Boris who saw these boys grow through Gilkock Football Academy said ´I never doubted the abilities of these boys despite their age because they were always willing to learn and face new challenges. He however urges the boys to be focus and train hard to maintain positions in their teams. Hawks Or Samger. Who Should Gilkock Go For? Gilkock Football Academy are currently divided as to which team they throw their weights to as the national league is drawn down to the wire with two of it players hoping to be champions in the final day. Though Ebrima Bojang and Real De Banjul have thrown their chances of defending their championship by winning only two games in the second round but two players from Gilkock are still hoping to be champion by the end of week twenty-two of the national league on the 13th of July 2008. Inspirational player of Gilkock, Ebrima Jatta alias EJ of Hawks and teenage sensation Kissima Bojang alias Kissy now with Samger, together with Wallidan will all have their faith decided on the final day of the league. Kissima:s team Samger who are equal on points with both Wallidan and EJ`s hawks can be crown champions if they can beat a renown first division side Steve Biko and hope that hawks and Wallidan draw out a draw on Sunday. For Hawks and EJ, the championship is in their own hands. They also only need a win over fellow title contenders Wallidan. 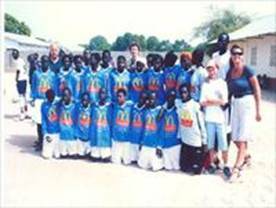 The Brufut based Gilkock football academy recently received sporting materials from Rut and wife ANNEKE Assendelft of Heemstede on Holland. The donated materials which included ten sets of jerseys, twenty balls and three hand pumps, were presented to the couples who commended Gilkock for a job well done by setting up an academy and imparting skills and discipline to children from different families in and around Brufut. The kids would have been doing some negative things if this project was not around. This is what motivated us to help.” Anneke told www.gilkock.com. For his part Ruth revealed that the help was as a result of the promise he made in February. “I intended to bring more assistance to the academy because of their level of organisation”. He made a strong promise to bring about 30 balls and implement another project for the academy when he comes in November. Ed Friedel, who is the Technical Director and head coach of Mr. Ruth’s 3rd division amateur club in Holland spent one hour on the pitch coaching the players. Friedel hailed the technical level of the players of the academy citing the passing and controlling abilities of the players. Considering the different age groups here, their technical level in the game is good even on a bumpy pitch like this. And base on what I have seen I may also help by providing some training DVDs or videos which I think would be helpful to both the coaches and the players. Friedel said. The Public Relations Officer of the academy Sang Mendy commended the couples for their timely help and promised that the materials would be pt into good use. Pet and Reit Debrugn friends to Ruth and Ånneke as well as coaches and players were predent at the handing over ceremony. 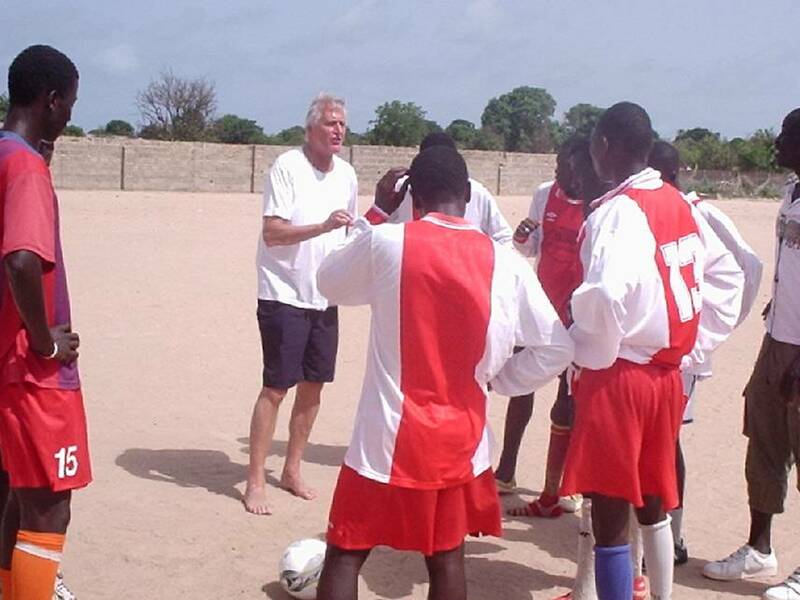 Following the public outcry to companies, institutions and individuals to support Gilkock, to successfully host their guest from the Dorleh and Neighbourhood Football Academy on the 12th July 2008 in their forth coming day long triangular tournament in Brufut, Momodou Max Jallow, Nfamara Drammeh and Foday Manneh of Brufut all resident in the UK put together some pounds and send it to the academy for the successful hosting of the event come the 12th. Max told Gilkock.com that Sang Mendy the Public Relations Officer of the academy sent him an email concerning the event, so he quickly contacted his friends about it knowing that the guest would need food and entertain for the rest of the day that was why they put together some cash and send it to sang. “The money sent is small but I hope it will do be able to address some problems”. Max said. Commenting about the assistance provided to the academy towards the hosting of the event, Sang Mendy the PRO said; I received the news with great joy knowing that it is difficult to received funds from companies, individuals or institutions. That was why we asked each other to pay a certain amount of money at our level in the Brufut just to be able to successfully host the event”. He continued by saying: “I must confess that Max and Co deserve our commendations and prayers”. However Mendy said he is not surprised that these people contributed towards the development of the academy because they’ve been monitoring the development of the academy on www.gilkock.com and other Gambian media as well.